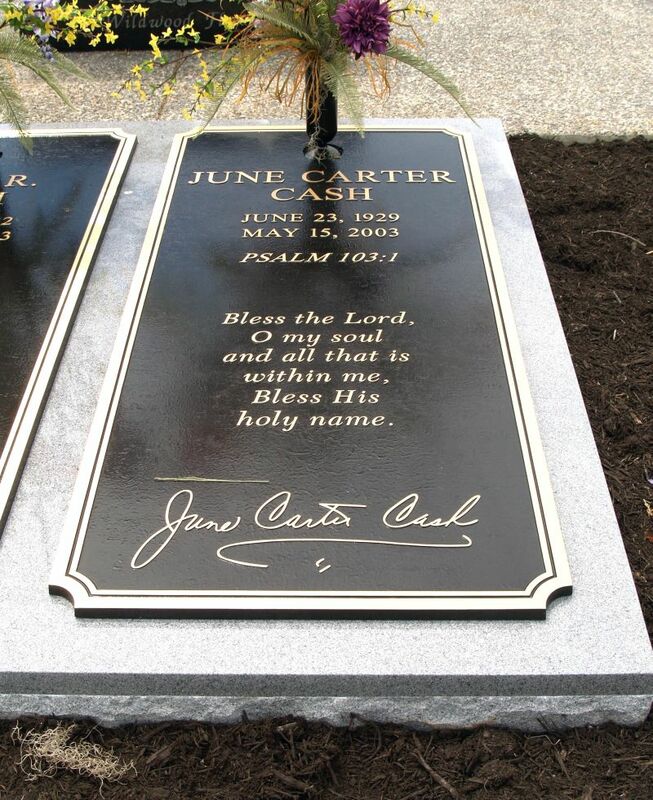 June Carter Cash was born Valerie June Carter in Maces Spring, Virginia, to Maybelle Carter and Ezra Carter. She was born into country music and performed with the Carter Family from the age of ten, beginning in 1939. In March 1943, when the Carter Family trio stopped recording together at the end of the WBT contract, Maybelle Carter, with encouragement from her husband Ezra, formed “Mother Maybelle & the Carter Sisters” with her daughters, Helen, Anita, and June. The new group first aired on radio station WRNL in Richmond, Virginia, on June 1. Doc (Addington) and Carl (McConnell)—Maybelle’s brother and cousin, respectively—known as “The Virginia Boys,” joined them in late 1945. June, then 16, was a co-announcer with Ken Allyn and did the commercials on the radio shows for “Red Star Flour”, “Martha White”, and “Thalhimers Department Store”, just to name a few. For the next year, the Carters and Doc and Carl did show dates within driving range of Richmond, through Virginia, Maryland, Delaware, and Pennsylvania. June later said she had to work harder at her music than her sisters, but she had her own special talent—comedy. A highlight of the road shows was her “Aunt Polly” comedy routine. Carl McConnell wrote in his memoirs that June was “a natural born clown, if there ever was one.” She attended John Marshall High School during this period. After Doc and Carl dropped out of the music business in late 1946, Maybelle and her daughters moved to Sunshine Sue Workman’s “Old Dominion Barn Dance” on the WRVA Richmond station. After a while there, they moved to WNOX in Knoxville, TN, where they met Chet Atkins with Homer and Jethro. In 1949, Maybelle & The Carter Sisters, along with their lead guitarist, a young Chet Atkins, were living in Springfield, Missouri, and performing regularly at KWTO. Ezra “Eck” Carter, Maybelle’s husband and manager of the group, declined numerous offers from the Grand Ole Opry to move the act to Nashville, Tennessee, because the Opry would not permit Atkins to accompany the group onstage. Atkins’ reputation as a guitar player had begun to spread, and studio musicians were fearful that he would displace them as a ‘first-call’ player if he came to Nashville. 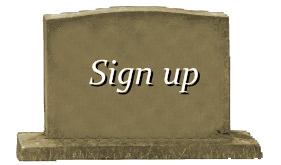 Finally, in 1950, Opry management relented and the group, along with Atkins, became part of the Opry company. Here the family befriended Hank Williams and Elvis Presley (to whom they were distantly related), and June met Johnny Cash. June and her sisters, with mother Maybelle and aunt Sara joining in from time to time, reclaimed the name The Carter Family for their act during the 1960s and 1970s. With her thin and lanky frame, June Carter often played a comedic foil during the group’s performances alongside other Opry stars Faron Young and Webb Pierce. While June Carter Cash may be best known for singing and songwriting, she was also an author, dancer, actress, comedian, philanthropist, and humanitarian. Director Elia Kazan saw her perform at the Grand Ole Opry in 1955 and encouraged her to study acting. She studied with Lee Strasberg and Sanford Meisner at the Neighborhood Playhouse in New York. Her acting roles included Mrs. “Momma” Dewey in Robert Duvall’s 1998 movie The Apostle, Sister Ruth, wife to Johnny Cash’s character Kid Cole, on Dr. Quinn, Medicine Woman (1993–97), and Clarise on Gunsmoke in 1957. June was also “Momma James” in The Last Days of Frank and Jesse James. As a singer, she had both a solo career and a career singing with first her family and later her husband. As a solo artist, she became somewhat successful with upbeat country tunes of the 1950s like “Jukebox Blues” and, with her exaggerated breaths, the comedic hit “No Swallerin’ Place” by Frank Loesser. June also recorded “The Heel” in the 1960s along with many other songs. She won a Grammy award in 1999 for her solo album, Press On. Her last album, Wildwood Flower, was released posthumously in 2003 and won two additional Grammys. It contains bonus video enhancements showing extracts from the film of the recording sessions, which took place at the Carter Family estate in Hiltons, Virginia, on September 18–20, 2002. The songs on the album include “Big Yellow Peaches,” “Sinking in the Lonesome Sea,” “Temptation” and the trademark staple “Wildwood Flower”. Her autobiography was published in 1979, and she wrote a memoir, From the Heart, almost 10 years later. Carter was married three times and had one child with each husband. All three of her children would go on to have successful careers in country music. She was married first to honky-tonk singer Carl Smith from July 9, 1952, until their divorce in 1956. Together they wrote “Time’s A-Wastin'”. They had a daughter, Rebecca Carlene Smith, aka Carlene Carter, a country musician. June’s second marriage was to Edwin “Rip” Nix, a former football player, police officer, and race car driver, on November 11, 1957. They had a daughter, Rosanna Lea aka Rosie, on July 13, 1958. The couple divorced in 1966. Rosie Nix Adams was a country/rock singer. On October 24, 2003, Rosie died on a bus from possible carbon monoxide poisoning. 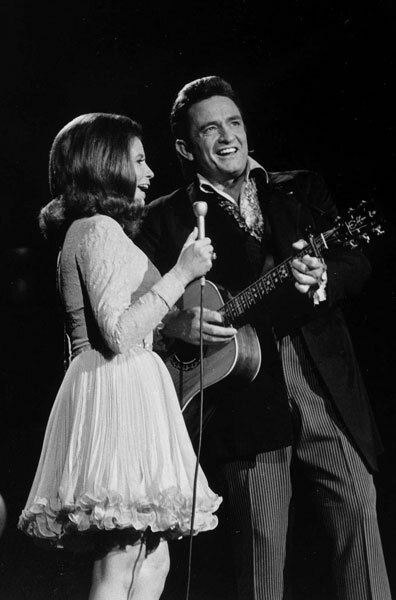 Carter and the entire Carter Family had performed with Johnny Cash for a number of years. In 1968, Cash proposed to Carter during a live performance at the London Ice House in London, Ontario, Canada. 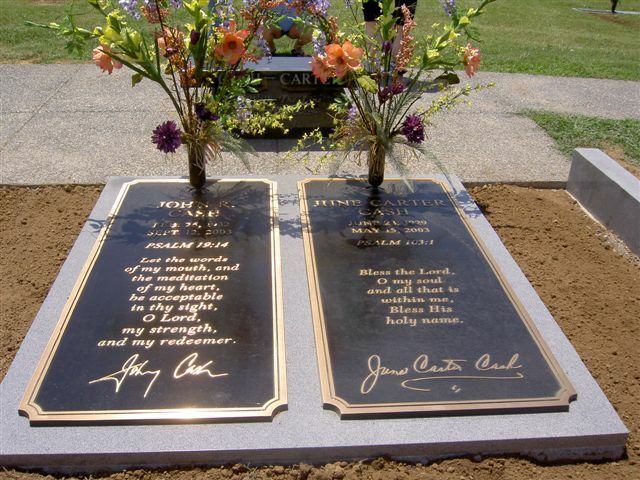 They married on March 1 in Franklin, Kentucky, and remained married until her death in May 2003, just four months before Cash died. 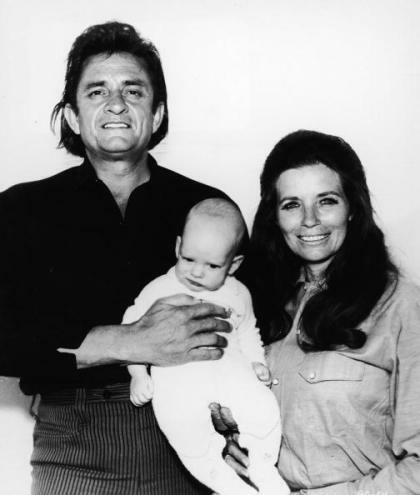 The couple’s son, John Carter Cash, is a musician, songwriter, and producer. In 1970, Carter’s distant cousin, future U.S. President Jimmy Carter, became closely acquainted with Cash and Carter and maintained their friendship throughout their lifetime. In a June 1977 speech, Jimmy Carter acknowledged that June Carter was his distant cousin, with whom they shared a common patrilineal ancestor. Carter was a longtime supporter of SOS Children’s Villages. In 1974 the Cashes donated money to help build a village near their home in Barrett Town, Jamaica, which they visited frequently, playing the guitar and singing songs to the children in the village. Carter and her future husband, Johnny Cash, reached No. 2 on the US Country charts with their 1967 duet of “Jackson”. Their performance won the 1968 Grammy Award for Best Country & Western Performance Duet, Trio or Group. 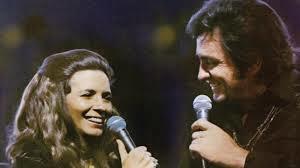 The two — now married — won the 1971 Grammy Award, for Best Country Vocal Performance by a Duo or Group, for their 1970 duet “If I Were a Carpenter”. Carter Cash won the 2000 Grammy Award, for Best Traditional Folk Album, for her 1999 album Press On. The album was a top 15 success on the Americana Chart. 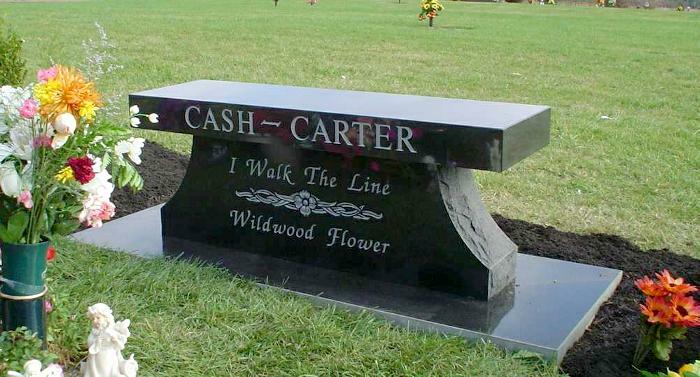 Carter Cash’s last album, Wildwood Flower, was released posthumously in 2003. Carter Cash won the 2004 Grammy Award for Best Traditional Folk Album, and she also won the 2004 Grammy Award for Best Female Country Vocal Performance for the single “Keep on the Sunny Side”. June Carter was played by Reese Witherspoon in Walk the Line, a 2005 biopic of Johnny Cash (played by Joaquin Phoenix). The film largely focused on the development of their relationship over the course of 13 years, from their first meeting to her final acceptance of his proposal of marriage. Witherspoon performed all vocals for the role, singing many of June’s famous songs, including “Juke Box Blues” and “Jackson” with Phoenix. Witherspoon won an Academy Award, Golden Globe, BAFTA and Screen Actors Guild Award for Best Actress in the role. Musician and actress Jewel portrayed June Carter Cash in a Lifetime television movie called Ring of Fire, which aired on May 27, 2013. The film is based on John Carter Cash’s memoir Anchored in Love: An Intimate Portrait of June Carter Cash. 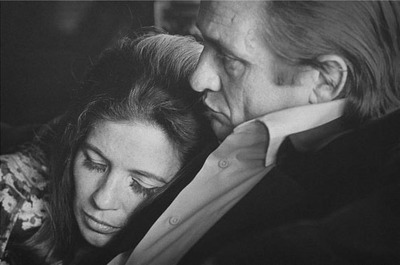 June Carter Cash died in Nashville, Tennessee, on May 15, 2003, of complications following heart-valve replacement surgery, in the company of her family and her husband of 35 years, Johnny Cash. 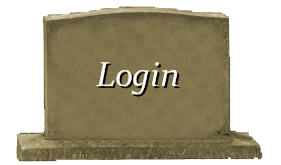 At Carter’s funeral, her stepdaughter, Rosanne Cash, stated that “if being a wife were a corporation, June would have been a CEO. 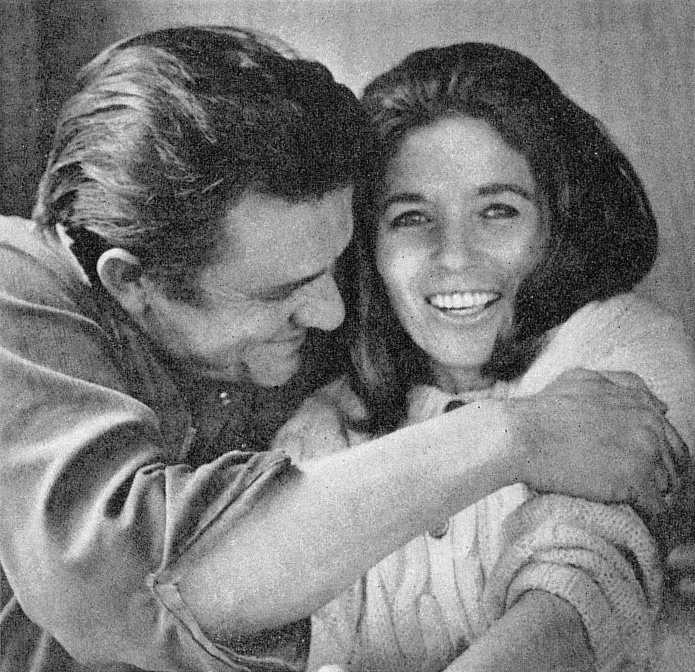 It was her most treasured role.” Johnny Cash passed away four months after June’s death. 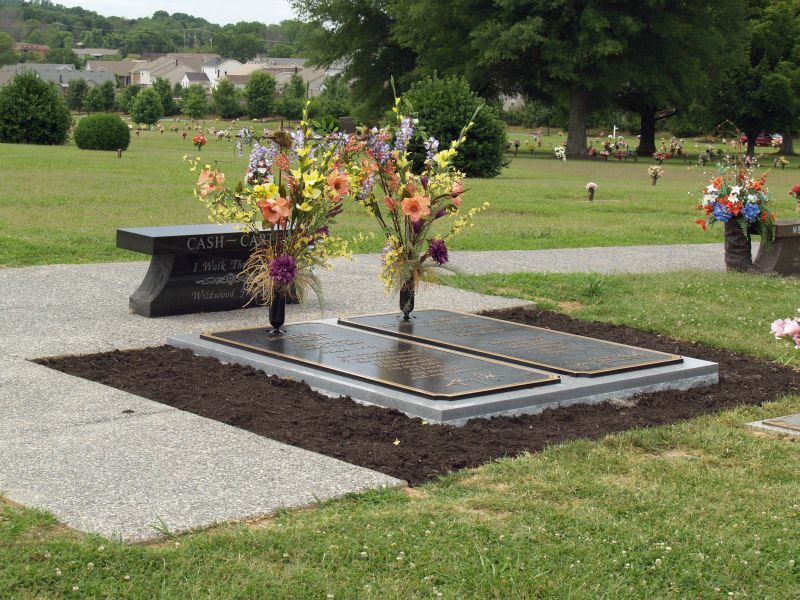 Both are buried in Hendersonville Memory Gardens near their home in Hendersonville, Tennessee.